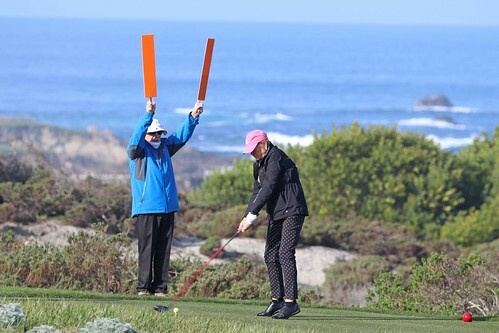 NCGA president Gail Rogers wrapped up her AT&T Pebble Beach Pro-Am on Saturday on the Shore Course at Monterey Peninsula Country Club. She and partner Jason Schmuhl missed the cut, finishing at 1-under 214 (68-76-70). Rogers would help the team 14 shots in the Pro-Am competition. 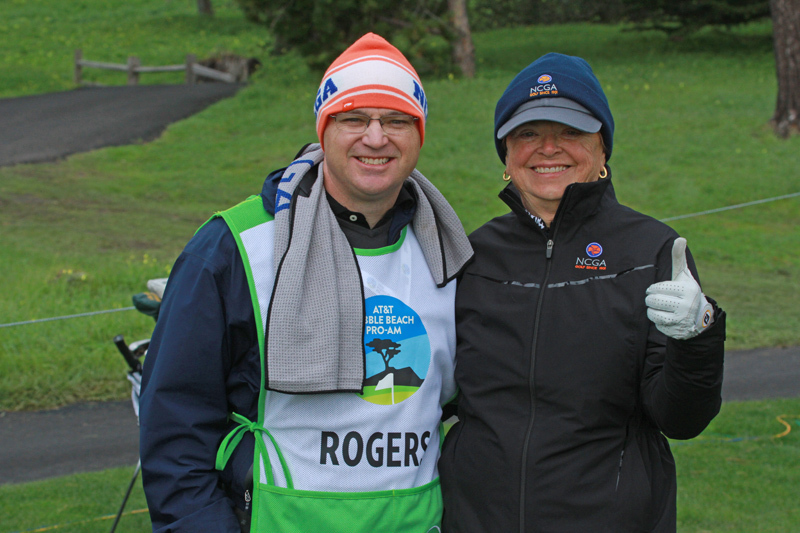 NCGA President Gail Rogers battled wet and windy conditions on day 2 of the AT&T Pro-Am. Starting on hole no. 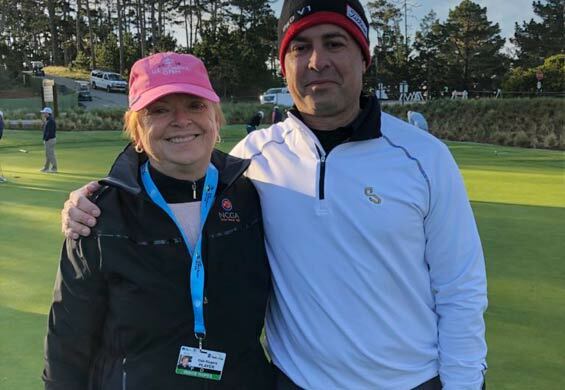 10 Friday morning at Pebble Beach Golf Links, Rogers and pro partner Jason Schmuhl played 16 holes in 2-over par before heavy rains forced a weather delay. Schmuhl was 5-over on his own ball for the day. The team is currently 2-under par for the tournament. The second round is scheduled to resume at 7:10 AM Saturday morning. After they complete their round at Pebble Beach Golf Links, Rogers and Schmuhl will head over to Monterey Peninsula CC Shore Course for third-round play. 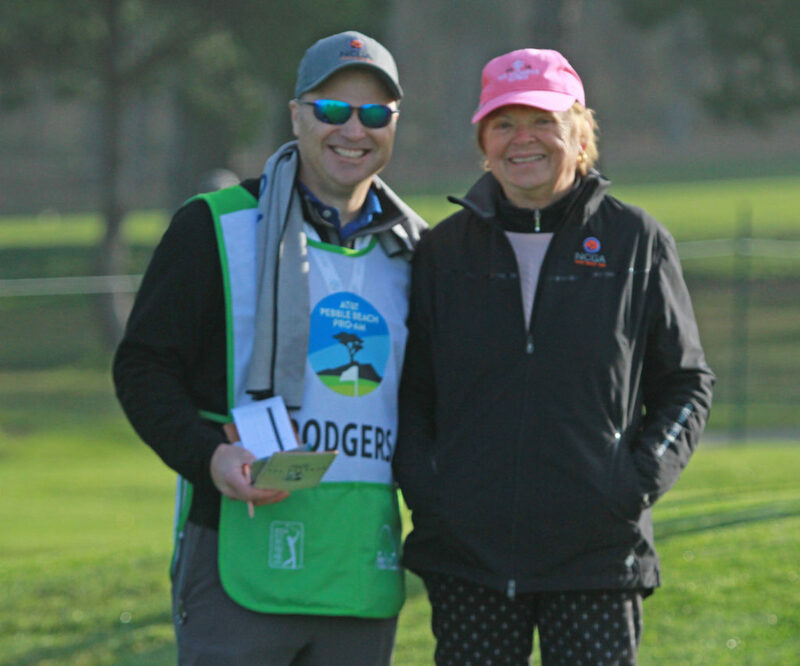 2019 NCGA president Gail Rogers and NCGA COO Ryan Gregg got going at the AT&T Pro-Am on Thursday, playing their first round at par-72 Spyglass Hill. Rogers and pro partner Jason Schmuhl, a club pro out of Windsor, finished with a first round score of 4-under 68. Schmuhl shot a 1-over 73, so Rogers (playing with an 18 handicap index) helped the team five shots. She and Schmuhl will tee off at 9:12 a.m. Friday at Pebble Beach Golf Links. 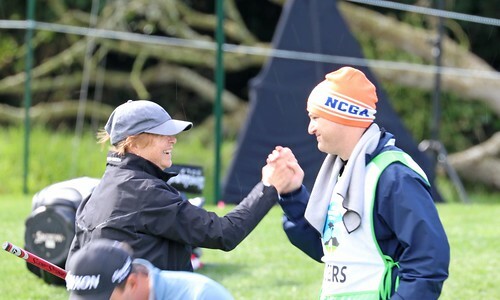 Gail Rogers, the 2019 NCGA President and first woman to ever hold that position, is making her AT&T Pebble Beach Pro-Am debut this week. The longtime Pasatiempo GC member is paired with professional Jason Schmuhl, who’s based at Windsor Golf Club. Rogers’ caddie for the week is NCGA Chief Operating Officer Ryan Gregg. 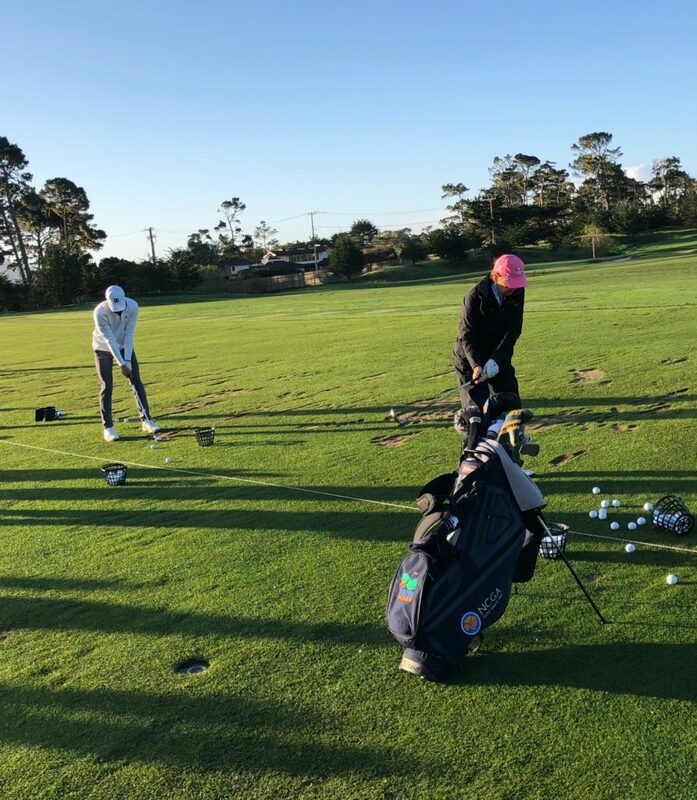 On Wednesday morning, Rogers stopped by the range at Pebble Beach Golf Links, where she warmed up next to 2017 AT&T champ Jordan Spieth. 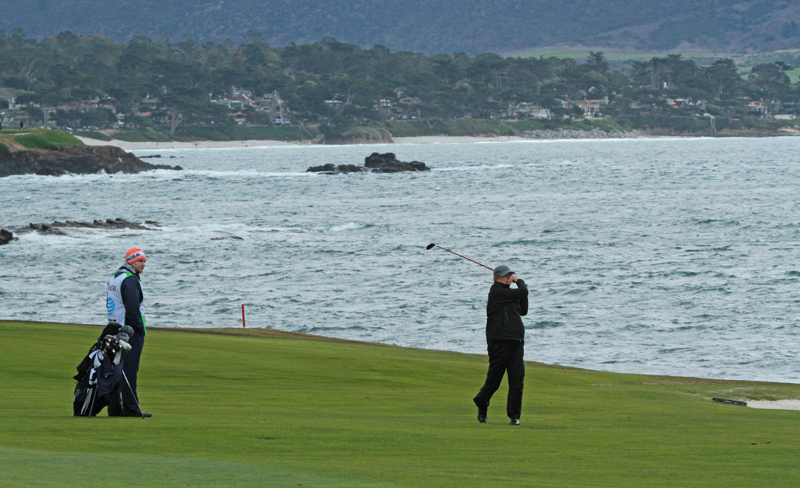 Afterwards, she and Gregg headed to Spyglass Hill for a practice round. Rogers is one of a number of females playing in the tournament this year. The others are Mary Meeker, former Secretary of State Condoleezza Rice, Cindy Taylor, Heidi Ueberroth, Julie Wirth, Lisa Davis, Julie Frist, Fallon Vaughn and Kira Kazantsev.